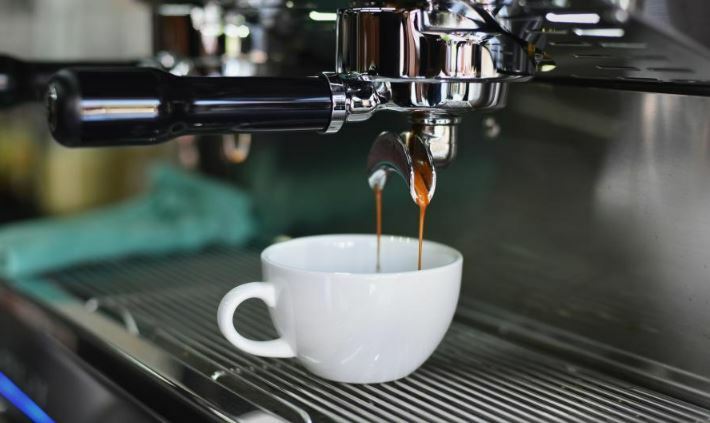 If you're a coffee addict who needs to get in your sips in order to function, there are a number of cities littered with coffee shops, making sure you get your fix. While naming the best coffee city in America is subjective, Apartment Guide tried to incorporate a bit of research into their version of the best coffee city. By their metrics, Berkeley, California is where coffee lovers should be residing. 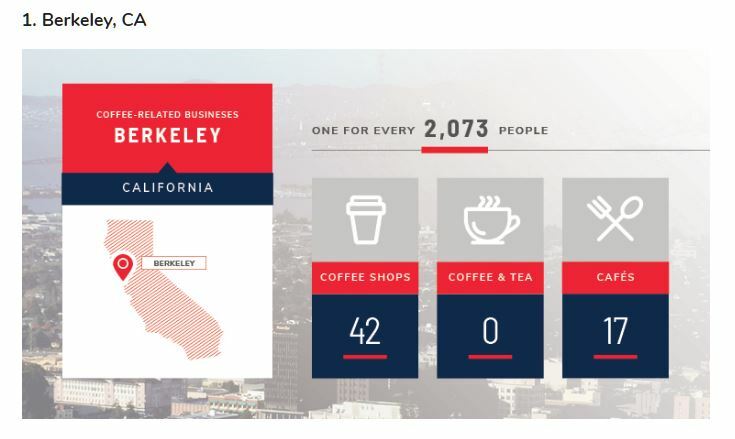 Their study analyzed the number of coffee restaurants per resident, and Berkeley has one coffee spot per 2,073 residents, although that only equates to 59 total coffee shops in the city. You'd think Seattle, Washington would be tops on any coffee list like this, but they actually came in 4th with 1 coffee shop per 2,308. 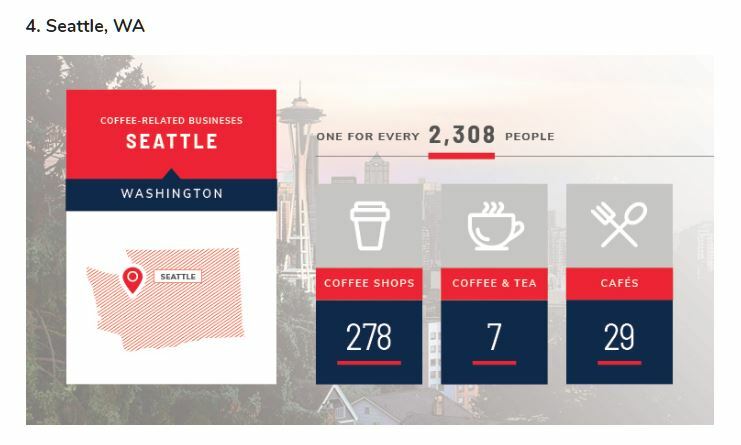 Not a huge difference by that metric, but as far as total coffee shops, Seattle has way more in the city, with 314. 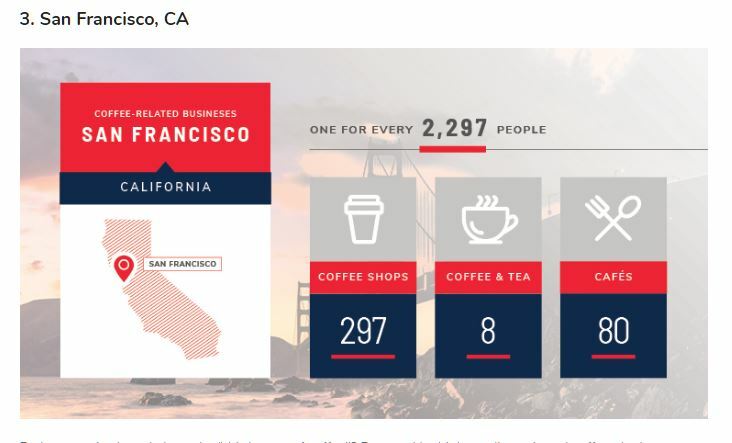 Believe it or not, you can take the total number of both cities, and they'd still come up short of San Francisco, California's 385 total coffee establishments. If driving through a city that lacks coffee sounds like you're living in a horror flick, find your way to one of these cities and keep yourself wired for life.